The Biological Records Centre is 50 years old! 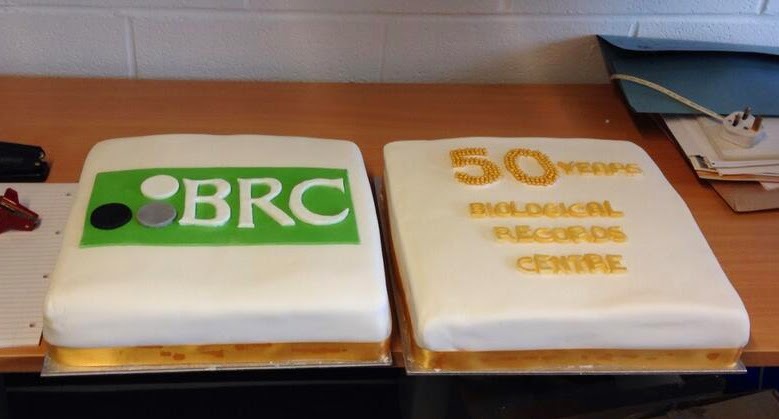 This year the Biological Records Centre (BRC), based within the Centre for Ecology & Hydrology, celebrates its 50th anniversary. A celebratory symposium is being held in Bath this week, and birthday cake will be eaten by past and present staff members, as well as a wide range of people who have been associated with BRC over the last five decades. It's a good time to look back at why the Biological Records Centre came into existence, and why it is still relevant today. In the late 17th century the Catalogus Plantarum Angliae was published. Written by Essex naturalist John Ray, it was effectively the first catalogue of English plants, drawing on observations from his friends. By the 18th century natural history societies had begun to form across the country which focused on species identification and documenting their distribution. These societies attracted a wide range of members ranging from the self-educated to the academically qualified, a mix that continues to this day. Building on the Plant atlas and the mapping skills developed, the Biological Records Centre was established at Monks Wood, Cambridgeshire in 1964, with Franklyn Perring as its head. 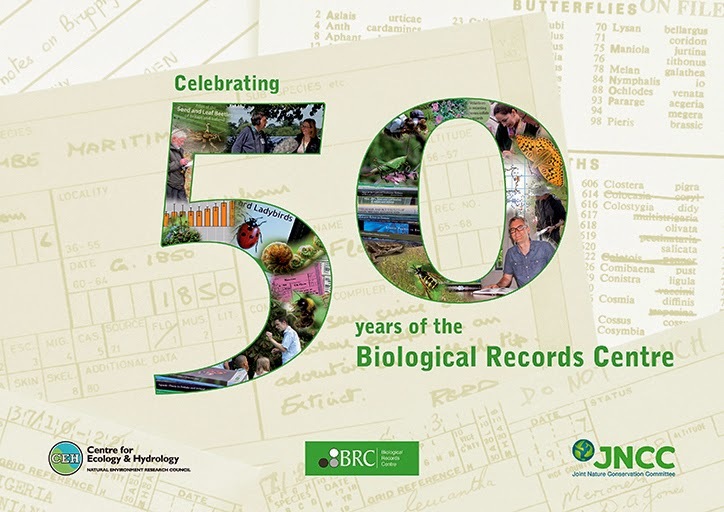 Over the years BRC has grown, and moved (to Wallingford, Oxfordshire in 2008), and its work has had, and continues to have, an international impact on biological recording. Maintaining existing capacity for recording species across a broad range of taxonomic groups to provide the evidence needed to tackle ongoing environmental issues. Sustaining partnerships with expert naturalists to help this capacity to grow and adapt, thus increasing the value of biological recording for understanding environmental change. Making innovative use of technology and analytical methods, plus integration with other data sources on the ecology of species and the physical environment to enhance the value of recording data. Happy Birthday BRC. We look forward to your 100th anniversary celebration in 2064!